After a judge makes your custody and visitation orders final, you may think that’s the last you have to talk about either issue. Everything is clear. The judge has ordered the arrangement, and you’ll stick to it. Well, you may know that your co-parent will get to see the kids every other weekend, but what time that visit start? Or end? And what happens when you disagree with your co-parent about what school the kids should go to, or whether they should go to church? Having a parenting plan clarifies these and other issues so that there is no uncertainty as you move forward with your new relationship as parents but not romantic partners. Now that you are no longer in love or have an understanding that you are making the decisions together, you may find that you and your former partner are much more adversarial. You might feel that you have the right to make certain decisions because you have primary custody of the children. Or your former partner might willfully ignore your wishes just to be able to hurt you or still exert influence over you. Working out a formal parenting plan with your child custody lawyer in Tucson can help you avoid many arguments about what should happen with the children and who should make decisions for them. A well-drafted plan will be as thorough and explicit as possible about potential parenting issues that will arise and how to handle them. The parenting plan will specify when children will spend time with each parent, including on birthdays, holidays and other special events. It is important that a clear schedule is outlined, as well as a plan for how future holidays and special events will be divided. For example, instead of outlining how every Christmas will be spent until the child is an adult, the parenting plan may say that parents take turns, spending every other Christmas with the children. Or it may allow for them to split Christmas Eve and Christmas Day. Numerous options are available. The plan can also state exact times for the beginning and end of these visits. The plan should also include guidelines for how decisions will be made for any eventualities that are not covered by the visitation schedule — such as what happens when a parent is ill during planned visitation, or when someone has a work or other emergency. While you are co-parenting, you are still going to have to make big decisions for your children, such as what kind of healthcare they get, where they get to school, what kind of religious training they will get, and so on. You and your former partner may be in perfect sync on these decisions, but most parents are not. Your parenting plan should cover how these decisions will be made so that you can manage any disputes that may arise. Not only should your plan put in place specifics that you know now — such as that the kids will be raised in a specific religion or that they will attend private school — but it should also include guidelines for how to make decisions going forward. For example, how will you handle things if your teen decides to change religions? Or wants to be homeschooled? You need to think about these things long before they become big issues. By then, everyone will be too emotionally invested to easily have a rational conversation about it all. You likely aren’t going to be spending a lot of time with your ex, but you do still need to communicate about the children. Your parenting plan should include parameters for how you will communicate — phone, email, etc. — and how frequently you will communicate. You might include a provision in your plan that says you will check in with each other once a week on the phone, or you may say that updates about school need to be sent by email as they happen. You can also include provisions in your plan for when communication is not allowed, such as past a certain hour or during working hours. 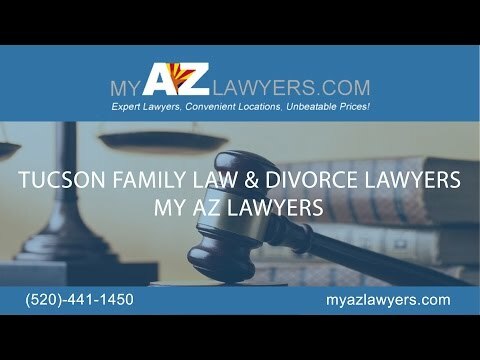 Working with an experienced Tucson family law lawyer can help you come up with everything that should be in a comprehensive parenting plan to make life after your divorce as easy as it can be. My AZ Lawyers has been helping couples across Arizona create strong parenting plans for years. Our child custody lawyers want to help you get the right arrangement for your family, including long after the judgment has been made final. Call us in Tucson today to find out how we can help you.